With the Nucleus 7 Sound Processor, people with a Cochlear Nucleus Implant can now stream sound directly from a compatible iPhone, iPad and iPod touch directly to their sound processor.4,5* They will also be able to control, monitor and customize their hearing on their iPhone or iPod touch through the Nucleus® Smart App available to download for free from the App Store®. 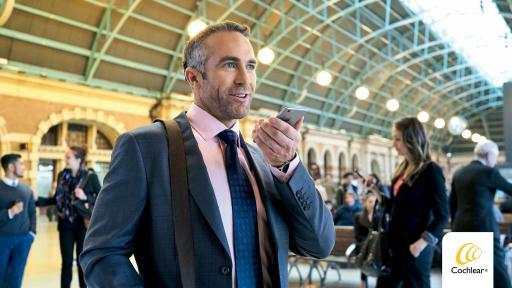 Chris Smith, Cochlear Chief Executive Officer and President, welcomes the FDA approval of the Nucleus 7 Sound Processor, explaining that Cochlear is proud to give people with moderate to profound hearing loss access to mobile technology like never before. 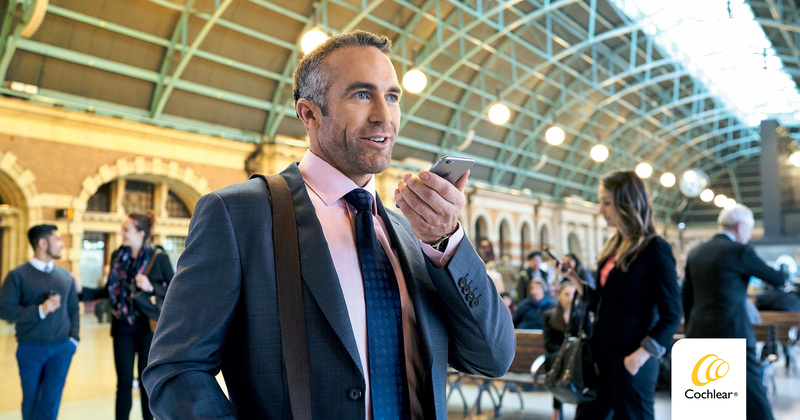 The Nucleus 7 Sound Processor offers a range of features with the Nucleus Smart App, exclusively available for iPhone and iPod touch on the App Store. The new Hearing Tracker feature records coil-offs time (each time the sound processor coil does not detect the implant coil, such as if it has fallen off a child's head) and time in speech (which measures the amount of time spent in speech environments in hours, including FM and streaming).5 The Find My Processor feature of the Nucleus Smart App helps locate a lost sound processor by using Location Services to determine the last place the sound processor was connected to the paired iPhone or iPod touch, whether it has been lost on the playground, in the house or in the car. Commercial availability for the Nucleus 7 Sound Processor is expected in September 2017 in the United States and Canada for those who are looking to receive a cochlear implant. 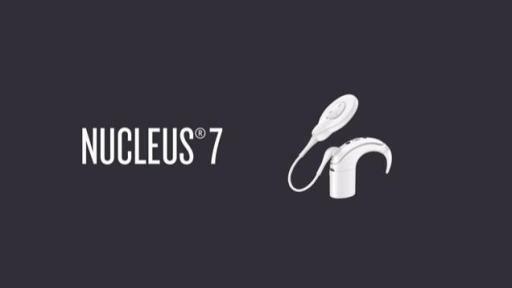 The Nucleus 7 Bimodal Solution is expected in September 2017 only in the United States for those who are looking to receive a cochlear implant. In the United States and Canada, the Nucleus 7 Sound Processor will be available as an upgrade in October 2017 for current recipients with the following internal cochlear implants: Nucleus CI24RE, CI500 and Profile Series Implants. 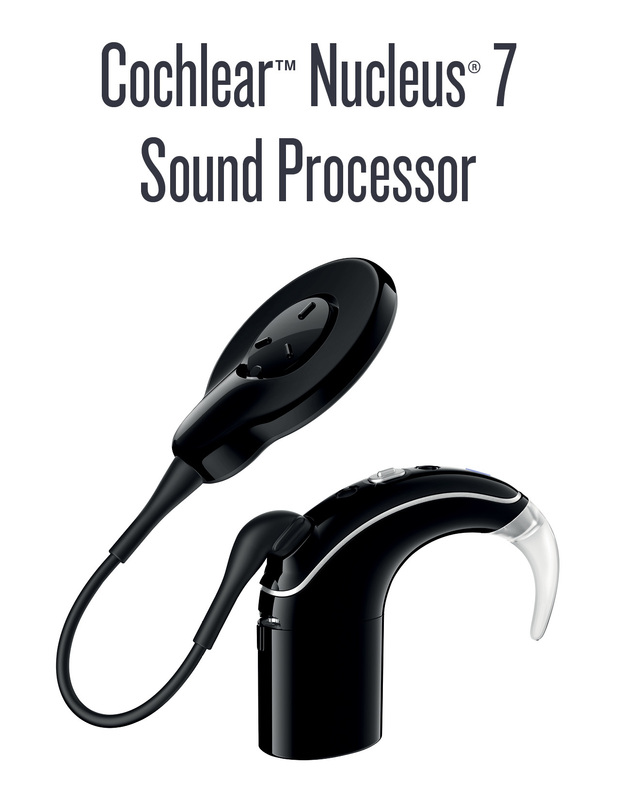 For more information about the Nucleus 7 Sound Processor, visit www.cochlear.com/US/Nucleus7. This media release is only intended for audiences in the United States and Canada. Not all products are available in all countries. Please contact your local Cochlear representative for more information: www.cochlear.com. 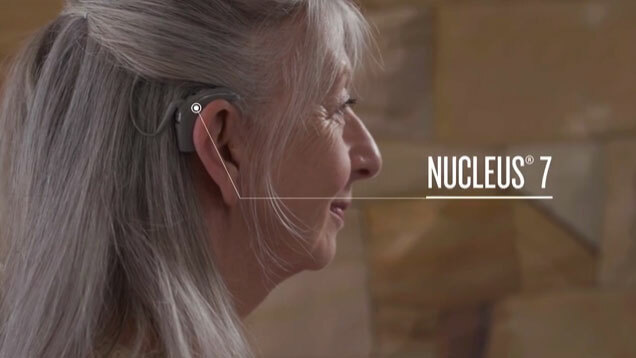 The Nucleus 7 Sound Processor works by detecting sounds which are then turned into electrical signals by the receiver-stimulator and sent to the brain by the electrode placed in the inner ear (cochlea). 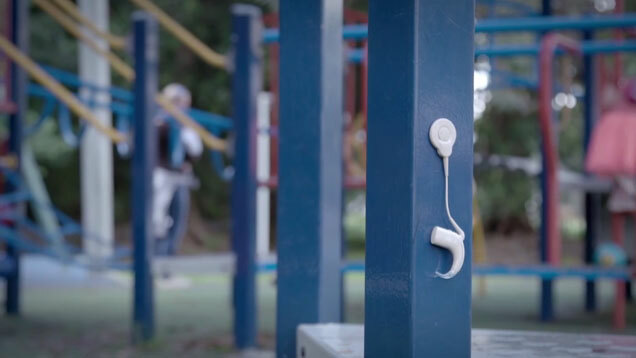 Cochlear is the global leader in implantable hearing solutions. The company has a global workforce of more than 3,500 people and invests more than AUD$120 million a year in research and development. 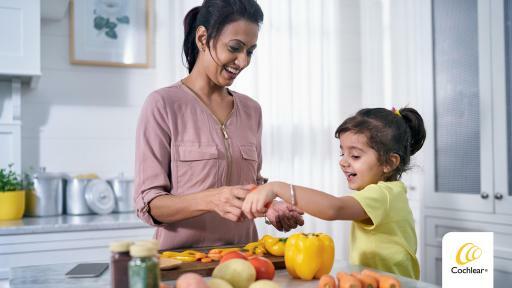 Products include hearing systems for cochlear implants, bone conduction and acoustic implants, which are designed to treat a range of moderate to profound types of hearing loss. U.S. Food and Drug Administration. P970051-S151 and P130016-S022 and P000015-S016_Supplement Approval Order - APPR2017. 13 June; Data on file. Cochlear Limited. 592753. Nucleus 7 Sound Processor User Guide 2017. Data on file. Cochlear Limited. D719021. Nucleus Smart App User Guide 2017. Data on file. World Health Organization. Deafness and Hearing Loss Factsheet [Internet]. Updated February 2017 [cited June 2017]. Available from: http://www.who.int/mediacentre/factsheets/fs300/en/ . Cochlear Limited. D1182081. CLTD 5620 Clinical Evaluation of Nucleus 7 Cochlear Implant System. 2017, Mar; Data on file. * The Nucleus 7 Sound Processor is compatible with iPhone 7 Plus, iPhone 7, iPhone 6s Plus, iPhone 6s, iPhone 6 Plus, iPhone 6, iPhone SE, iPhone 5s, iPhone 5c, iPhone 5, iPad Pro (12.9-inch), iPad Pro (9.7-inch), iPad Air 2, iPad Air, iPad mini 4, iPad mini 3, iPad mini 2, iPad mini, iPad (4th generation) and iPod touch (6th generation) using iOS 10.0 or later. The Nucleus Smart App is compatible with iPhone 5 (or later) and iPod 6th generation devices (or later) running iOS 10.0 or later. 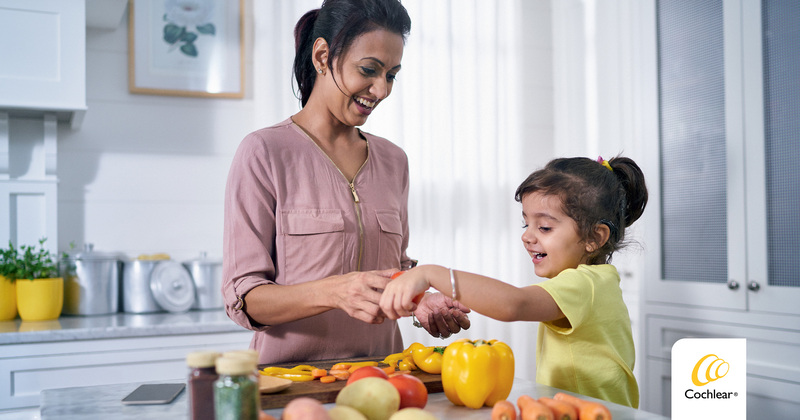 ** SNR-WR, WNR and SCAN are approved for use with any recipient ages 6 years and older, who is able to: 1) complete objective speech perception testing in quiet and in noise in order to determine and document performance: and 2) report a preference for different program settings. *** The Nucleus 7 Sound Processor with Aqua+ is water resistant to level IP68 of the International Standard IEC60529. This water protection rating means that the sound processor with the Aqua+ can be continuously submerged under water to a depth of 3 meters (9 feet and 9 inches) for up to 2 hours. This water protection only applies when you use a Cochlear Standard Rechargeable Battery Module or Cochlear Compact Rechargeable Battery Module. ©2017. Apple, the Apple logo, iPhone, iPad, iPod touch and FaceTime are trademarks of Apple Inc., registered in the U.S. and other countries. App Store is a service mark of Apple Inc.
©Cochlear Limited 2017. All rights reserved. Cochlear, Hear now. 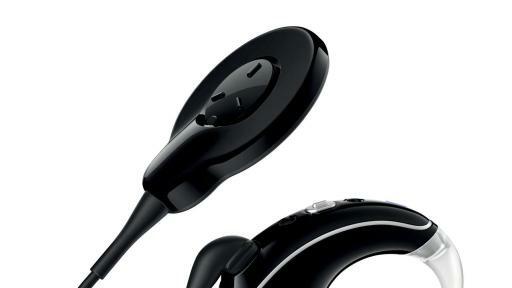 And always, Nucleus and the elliptical logo are either trademarks or registered trademarks of Cochlear Limited.